We continue Part Two of our drinking adventure through Maui. 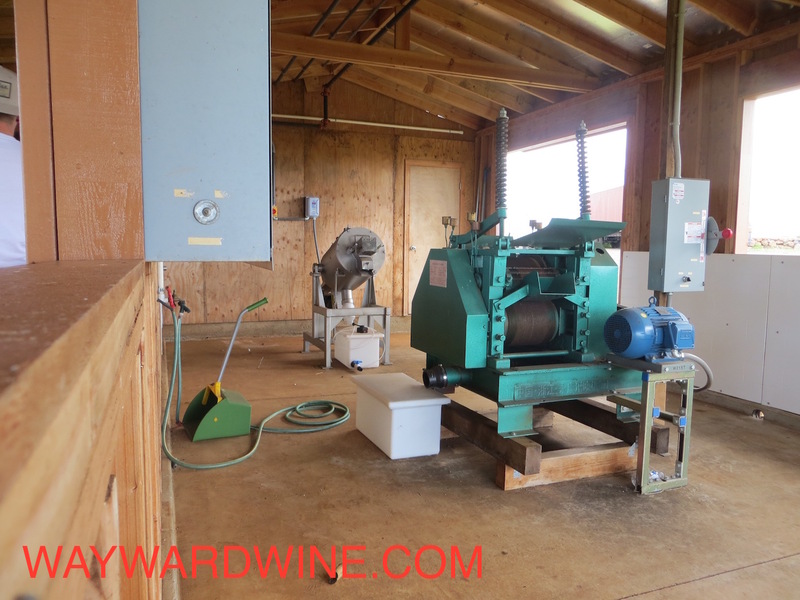 As mentioned in the last distillery review (read here), Maui has a problem. The sugar cane monopoly collapsed last year. Now endless fields of sugar cane run wild across this Hawaiian island. Can a boutique drinks industry salvage or even transform the island’s economy? Lightly buzzing from our tasting at Haliimaile Distillery, we check out the nearby glass art factory, skip the food truck and far too fancy “deli”. Instead, we search the net for something not awash with tourists. Luckily, master sushi maker, Kojima saves us, green tea cleanses along with some of the best unagi within memory. Daughter picks out which raw fish she wants. We pop by Surfing Goat Dairy for a fresh yet varied cheese tasting, risky goat petting, and then we roll deeper uphill to Maui’s other spirit producer: Ocean. 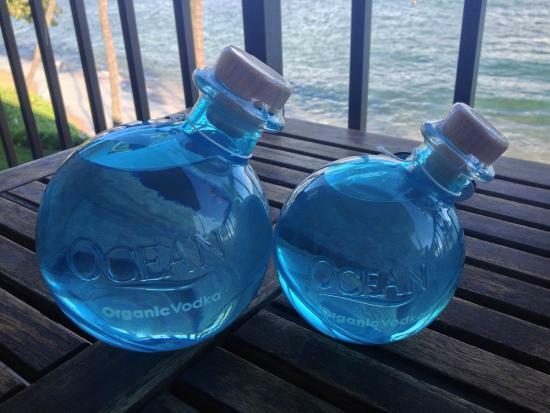 Ocean quickly set sights on one market with one product: organic vodka. I can’t name an organic vodka. This could work. Just above a cliff’s edge, on a grassy plateau, stands Ocean’s new red shed. Once a cattle ranch, cane fields now cover the ground. 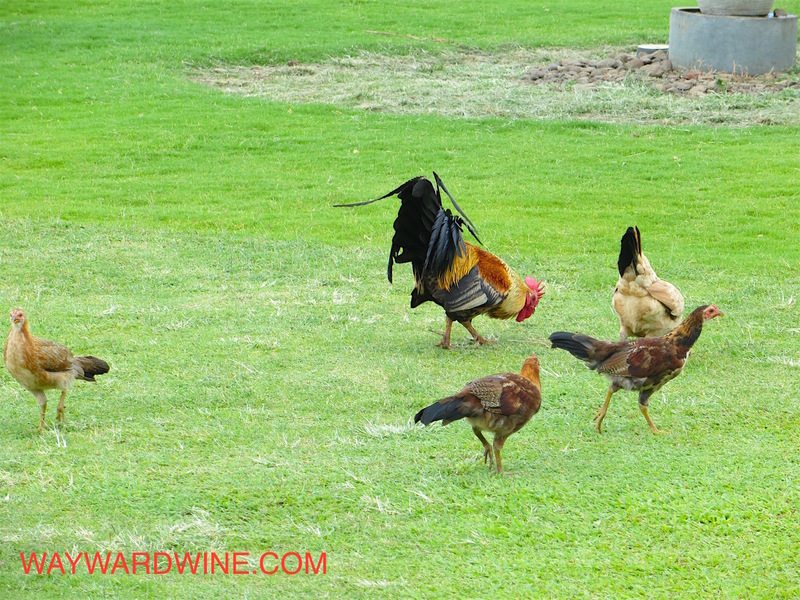 Organic thinking lines everything from their single estate cane sugar farm, to solar panels, to water reclamation, to chickens that roam the property, like everywhere on Maui, eating pests and fertilizing the canes. The canes get dehusked thanks to a fancy mill which looks disturbingly tidy. 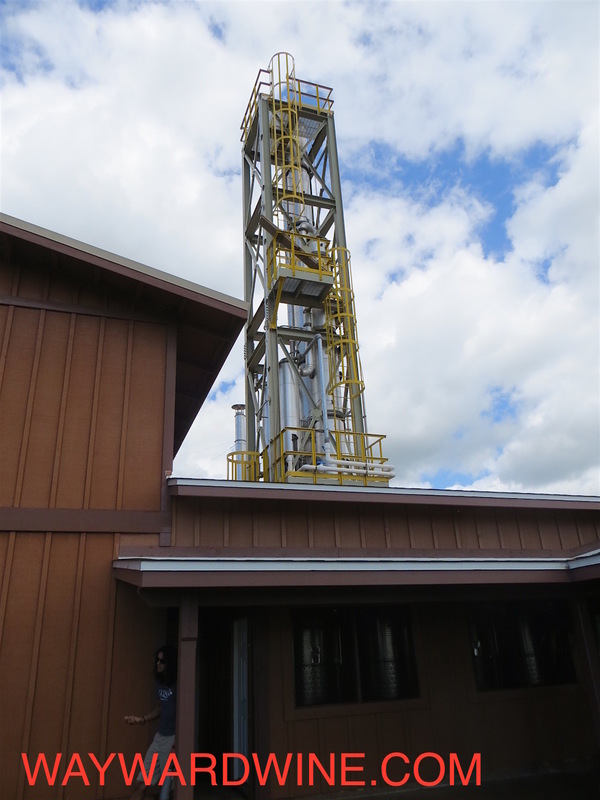 The custom continuous still tower pops stories out the roof, subjecting the cane sugar to twenty passes (most vodka go three or four). Ocean’s goal is to cut any head or tail that might give their vodka the slightest edge. Once sugar becomes alcohol, it needs to be watered down to standard 40% alcohol. But tap water on Maui varies immensely. 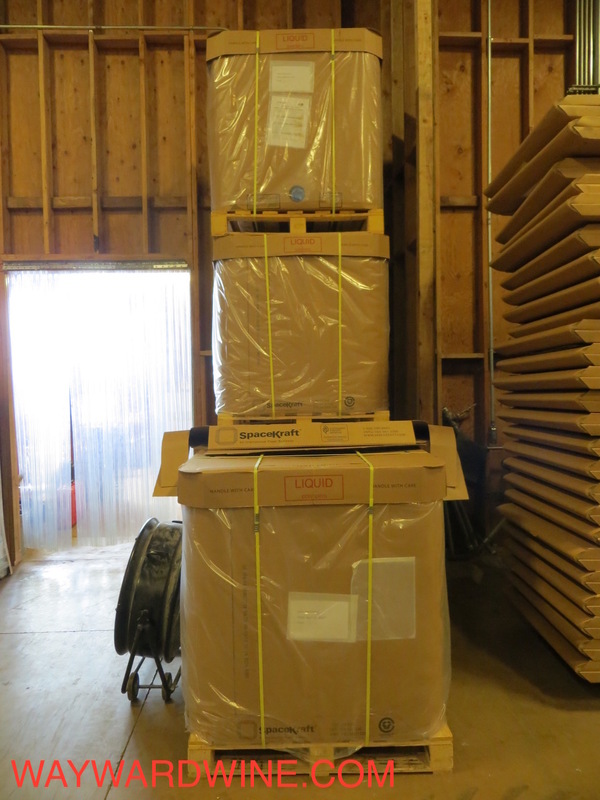 So Ocean sources the purest possible water from the Big Island, strangely sent in massive bag in boxes that get reused. A pot still makes a small bit of their white rum. Like everything, Ocean’s bottling line looks immaculate to the point of obsessive compulsive. Once filled, their Japanese float-like bottles enter and leave in the same box to avoid waste. So, what does all this commitment to uber premium vodka taste like? Making a $12 tour out of one or two products asks a lot of Ocean’s staff. I feel like I am at a mini Opus One again. Luckily, our guide could go for days. He may also be the first person who proudly drinks vodka neat. 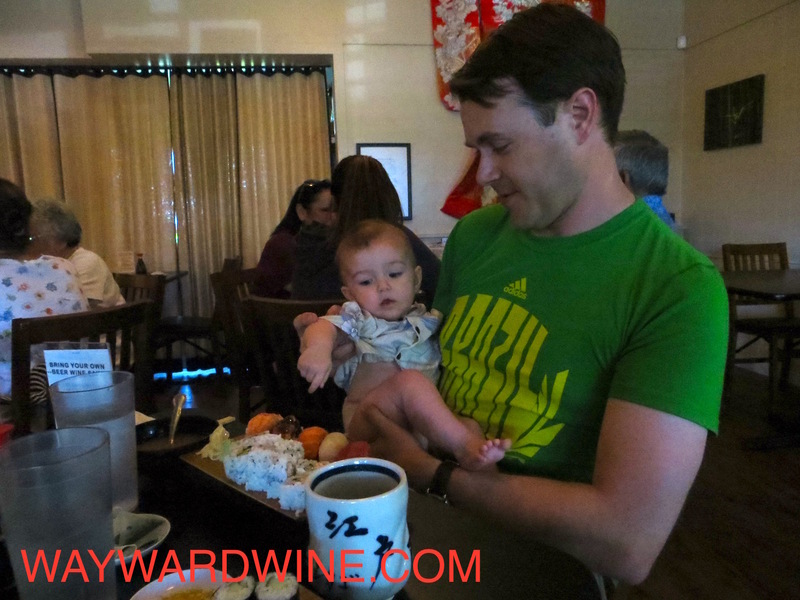 It feels a touch ridiculous, but he walks us through a three step tasting: first neat to ground our palates, then again to analyze it, and finally with a water splash to open it and cut the edge. Admittedly, Ocean vodka is silken, viscous, round, and warm with narry a harsh thing to say about anyone. If you squint extremely hard, a wee bit of soft water, aniseed, pineapple, and salinity emerge. It may be the cleanest vodka I have tried (very good 4 of 5) but it is still vodka. $33 dollars will get you a 750ml bottle, but $5 dollars will get you an adorable, pocket-sized 50ml float bottle at most gift shops. Their white rum seems similarly soft, but glows heavy with mango, coconut, and vanilla syrup flavors. Not my thing but good (3 of 5). I look forward to their rumored gin. Ocean kills it on the islands. Their blue bobbles stack high in Costco and hang like register candy at ABC stores and groceries. They have strategically and smartly wedged into the West Coast as well. So, choose: anodyne, organic vodka pe‏rfection or a style mashup to fit every bar’s needs? Both Haliimaile and Ocean do local well, just for different ends. Neither will save Maui’s dying agriculture. Automation, gentrification, globalization, and land costs have simply rendered sugar as unprofitable. However, both distilleries point to paths of premium products that may keep people and land working. This entry was posted in Uncategorized and tagged cocktail, distillery, drink, Hawaii, Maui, Ocean Vodka, travel, Vodka, wine. Bookmark the permalink. Nice post! We loved Maui especially the people. Great pix from Kueka Lake. We’ll be there next week. If you like faraway places checkout my interview with Duncan Savage of Savage Wines Cape Town, South Africa about his new winery.